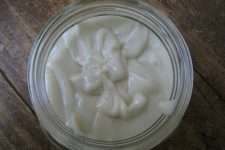 Today I want to share with you my recipe for a cuticle cream. Well…it’s really not a “cream”, it’s more like a super intense conditioning balm? Anyhow — whatever you choose to call it — it’s an amazing recipe that will repair dry, cracked cuticles and fingertips. From summer’s garden hands to winter’s extreme weather…soft, beautiful cuticles can be yours! 1. 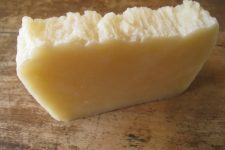 In a small saucepan, or double boiler, over very low heat melt the butters and the wax. 2. Once melted, remove pan from heat and allow to cool a bit. 3. Add remaining ingredients and stir well to combine. 4. Pour into storage container, such as an upcycled jar (will make approx. 2-3 ounces of product). 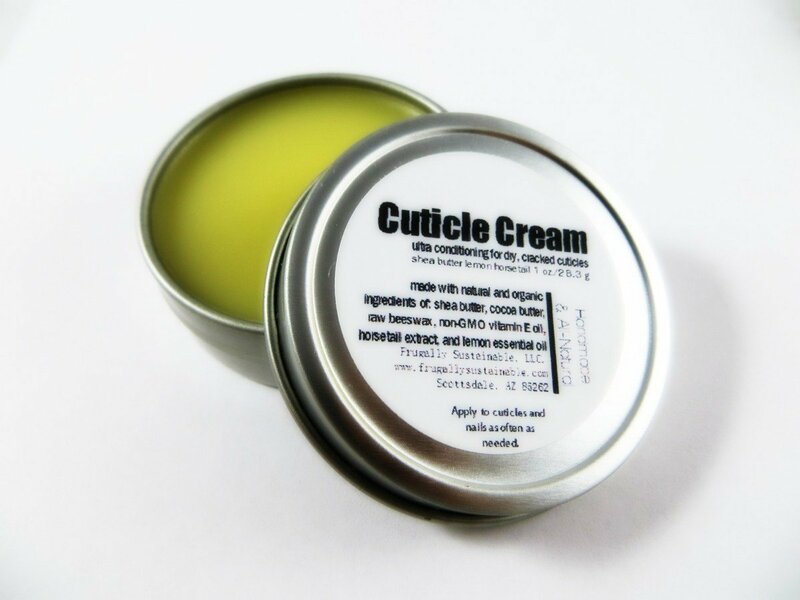 Allow cuticle cream to cool and harden on a flat surface. 5. Massage into cuticles each night, throughout the day, or whenever needed for intense moisturizing. -Mountain Rose Herbs…they have everything (butters, non-GMO vitamin E oil, essential oils, and the cute little tins) you’ll need for this remedy! It’s your one-stop-shop! Fantastic! I can’t wait to try this! 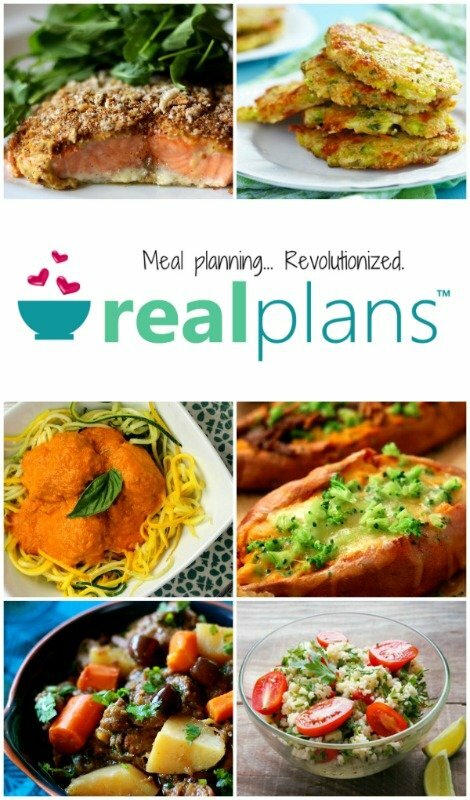 Andrea, thank you so much for sharing these recipes! Since I’m having success with homemade deodorant, I want to try these recipes as well. I just need to get my supplies at Whole Foods, which is over an hour away. Maybe we’ll go this month? I know I can order them, but since shipping is so high, I’d rather go in person to WF. I like shopping there occasionally. Blessings from Bama! 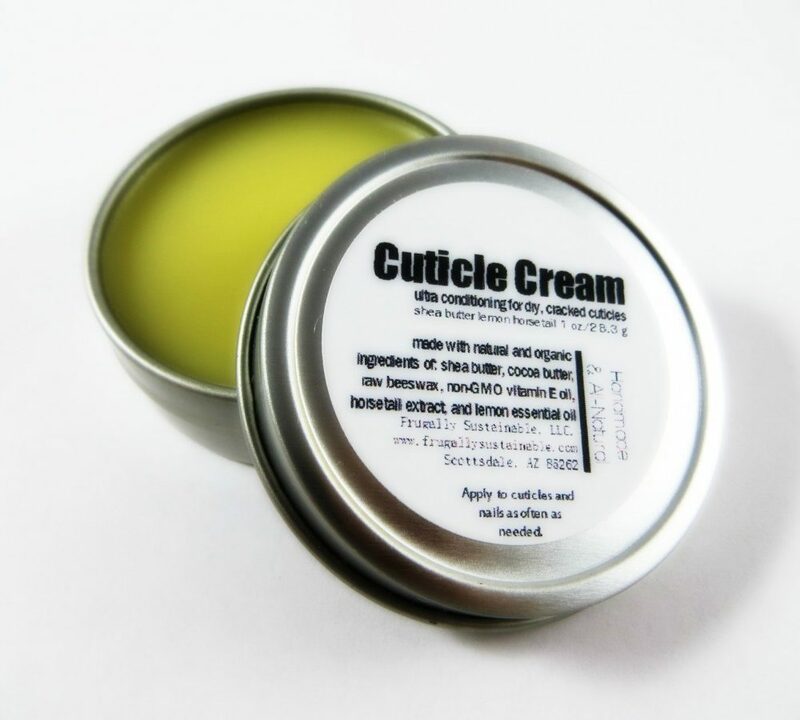 Thanks for the handmade cuticle cream recipe. This will be essential for those people who work a lot with their hands. Where do you get the tins from to put them in? I am making this for a women’s retreat for about 30 women but can’t find the little tins! Thank you so much! Another great recipe, and I have everything already! While searching for zinc oxide powder I found a website called organic creations. Shipping was a lot however they have a huge selection! I don’t have any local options, I have to drive 2 hours to the front range. I do need to order tins from mountain rose or specialty bottle one of these days thou! Wal-Mart sells very small clear plastic containers, 2 for a dollar, in their travel toiletries section, I can’t wait to try this recipe, thank you! I refuse to spend $6 for a small container of cuticle salve, I just can’t do it! Try ULINE(uline.com) for containers and quick service!!! Can’t wait to make this but I don’t have any vegetable glycerin. Is it indispensable? Hi, I’m wondering about the picture of your cuticle cream for sale. It says ‘horsetail extract’ as well in the ingredients, but that’s not listed in this recipe. Am I missing something? I use this recipe but sub the lemon oil with calendula or tea tree oil. Both are very healing. nails are glowing after 2 weeks! 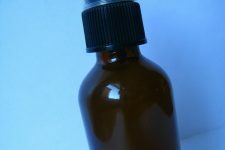 How much horsetail extract do you add?